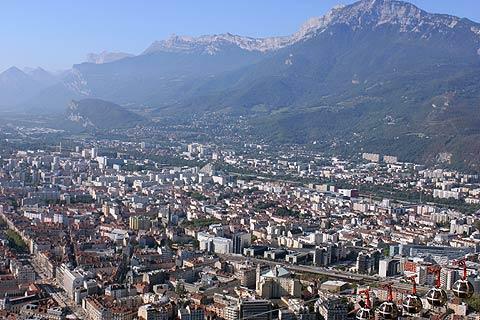 Grenoble is an important town in the alps to the south-east of Lyon. 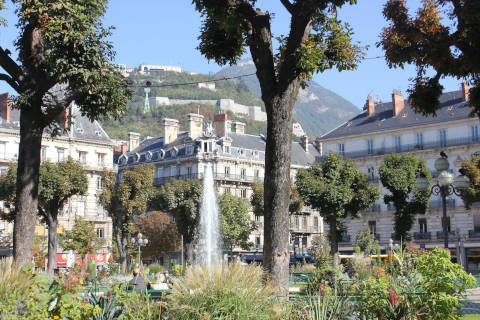 With snowy mountain peaks as its backdrop and a Winter Olympics in its past, Grenoble has earned its title as “the Capital of the Alps.” The town is also the final destination on the Route Napoleon that starts near Cannes. 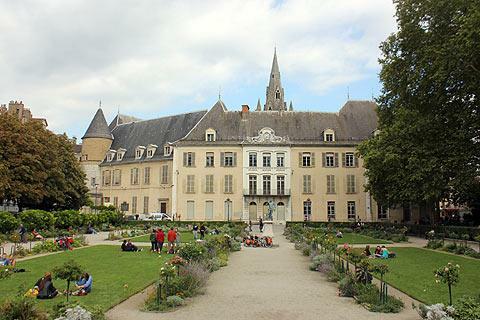 The capital of the Isère department is an center for mountain sports and it is also an important centre for academia: founded in 1339, the University of Grenoble now boasts 50,000 students which has helped to establish the city as a major center for research, especially in science. 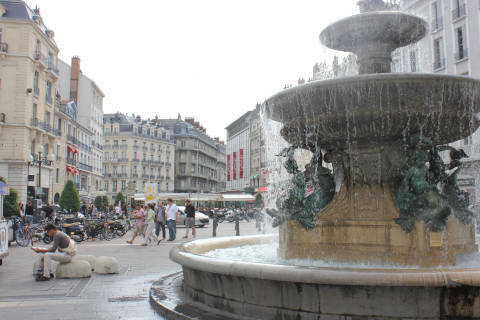 Two rivers, the Isère and the Drac, wind through Grenoble and the Fontaine du Lion at the Place de la Cimaise symbolizes the two waterways with a statue of a lion (the Drac) grappling with a snake (the Isère). 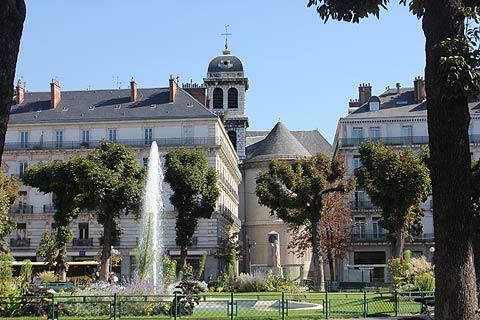 The lovely Place Victor Hugo is at the heart of Grenoble. 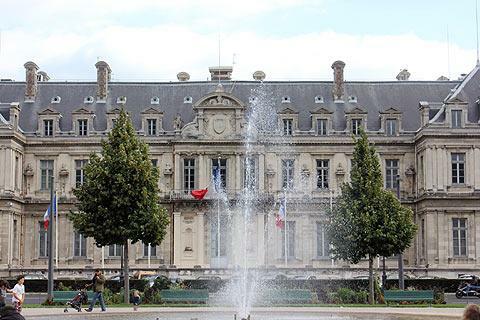 The square is beautifully gardened in the middle and has a large fountain and it is surrounded by elegant buildings with late 19th century facades. The Rue de Bonne with its ancient gateway is where Napolean entered the city back in 1815. From here head towards the Jardin de Ville - always lively in the summer - and the old Hôtel de Lesdiguieres which was the town hall until 1967. 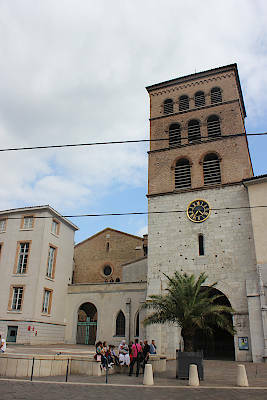 The attractive Place de Gordes gives a good view of the Saint-André Collegiate Church with its 14th century Gothic spire. 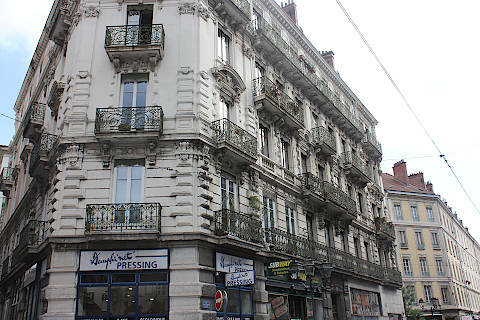 Next to here on the Place Saint-Andre is one of Grenoble's finest buildings - the Dauphiné Parliament building with its Gothic and Renaissance facades. 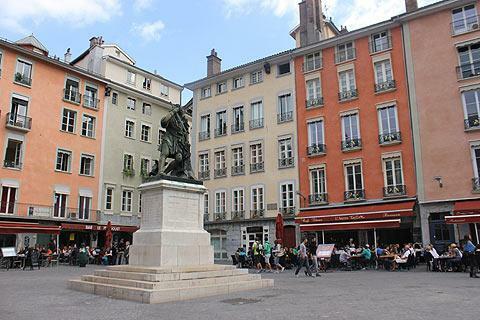 Also on this square is the second oldest café in France, the Café de la Table Ronde, which dates back to 1739. 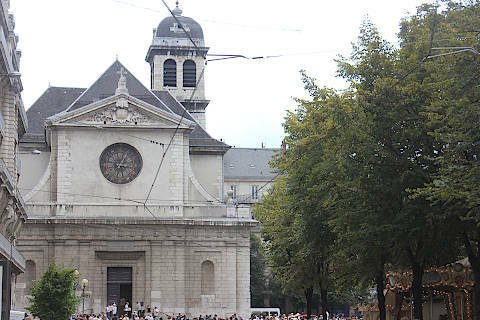 Grenoble also has a cathedral though it does not look like a traditional cathedral because it is dominated by its large 13th century gate tower so looks as much like a fortified entrance to the town centre as a church! For a midday coffee, pre-dinner apéro, or evening cocktail, there are cafés, bars, and pubs scattered throughout the center of town between Place Grenette and Place Notre-Dame. 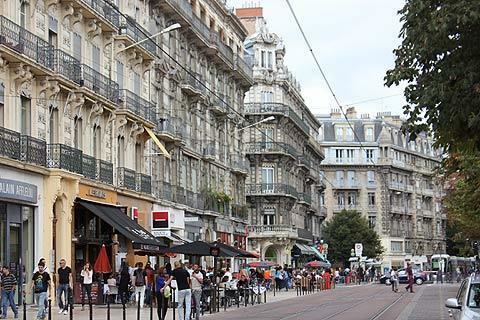 Getting around Grenoble is easy with the four-line tram and extensive bus service. The train station is centrally located and it is possible to walk to most major attractions. As one of the flattest European cities, it is also an option to bicycle. 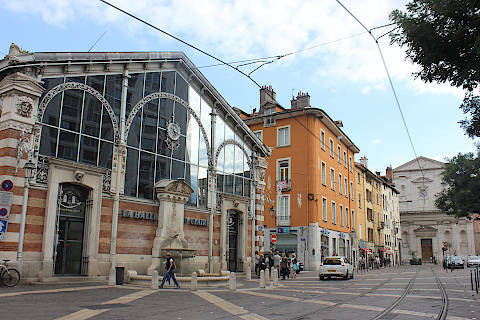 One of Grenoble's key attractions is its iconic cable car. This was the first cable car to be built in a city - before those of Rio de Janeiro and Cape Town. At the top of the cable car there are 360° views of the alps and incredible views over Grenoble, as well as a restaurant where you can enjoy lunch, dinner or a coffee whilst admiring the views and also a historic fort with defenses designed by Vauban (an important French military architect) and called the Bastille. 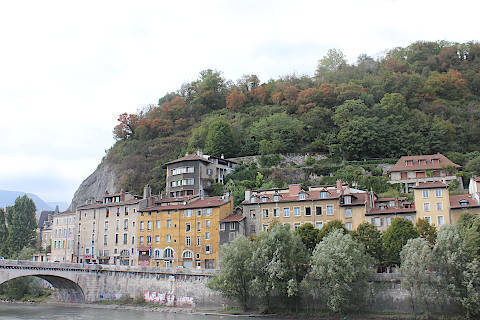 It is possible to walk up to the Bastille if you are feeling energetic, or you can take the cable-car up and walk down. 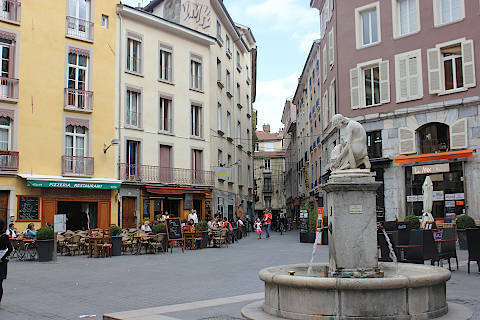 While pizza, kebabs, and sandwiches are plentiful in Grenoble, it also offers a diverse selection of quality restaurants. 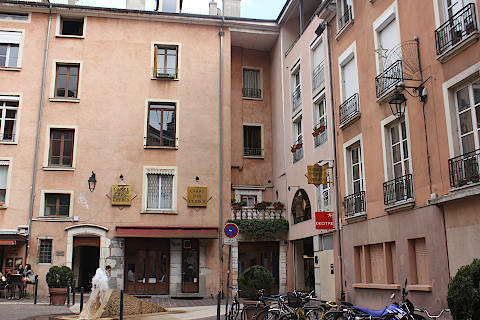 French Alps specialties like Raclette, a dish customers make at the table with cheese, potatoes, meat, vegetables, and a grill, can be tasted at La Ferme à Dédé and traditional fondue can be found at La Fondue. Grenoble’s walnuts are celebrated, so be sure to buy a pastry made with walnut cream at a boulangerie. You can also buy a bottle or have a glass of Chartreuse, a liqueur made from herbal extracts and named for the Grande Chartreuse monastery in the mountains outside of town. There is also a restaurant at the top of Grenoble's wonderful cable car where you can have lunch or dinner overlooking fabulous views of the city. 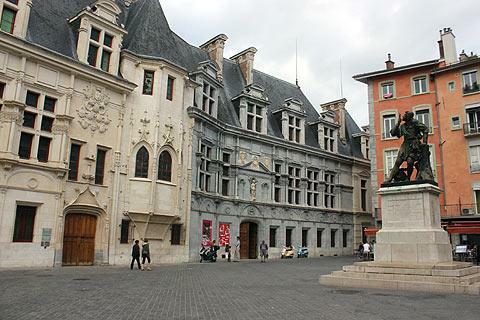 Grenoble also has a presence in arts and literature through its museums and festivals. 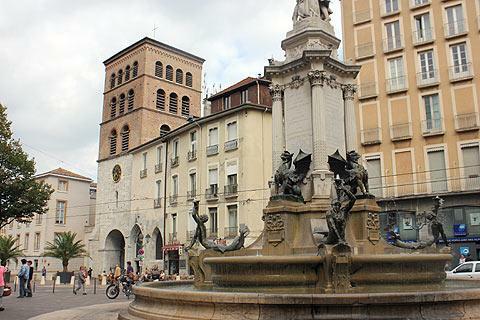 The city is the birthplace of 19th century French novelist Stendhal, most famous for Le Rouge et le Noir and La Chartreuse de Parme, and the Bibliothèques Municipales de Grenoble has a collection of his manuscripts. Filmmaker Jean-Luc Godard and philosopher Jean-Jacques Rousseau also spent time living in Grenoble. 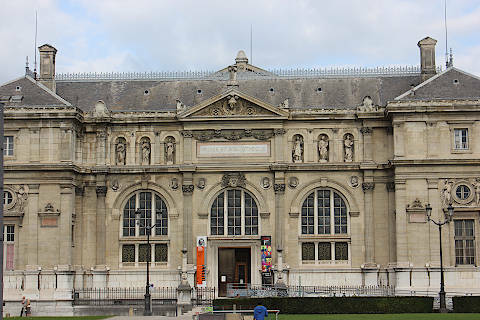 Today, the Musée de Grenoble exhibits fine, contemporary, and modern art, the Musée de la Resistance explores the history of the French Resistance during WWII, and Le Magasin hosts art exhibitions in a converted industrial space. The Grenoble Jazz festival held each March offers two weeks of music in bars and venues across the city. With opportunities for snowshoeing, snowboarding, skiing, hiking, and climbing, nature is a large part of the local culture. For a panoramic view of the city and the French Alps, La Bastille, a 19th century fortress, can be reached by hiking or by cable car. There is convenient bus access to many alpine ski resorts, including Deux Alpes, Villard de Lans, Chamrousse, and Alpe d'Huez. See more Alpine Ski resorts or search for ski holidays in France. 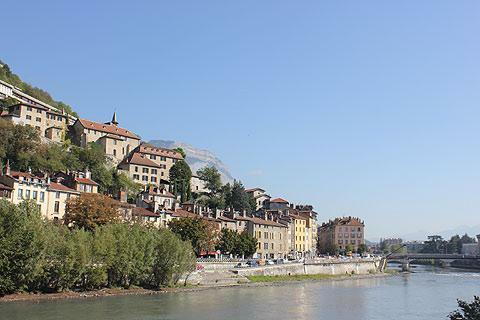 You can find more local travel ideas in the Isere guide and the Rhone-Alpes guide.